Following on from Anti-Bullying Week Year 6 took part in a work shop led by PC Sloane to further their awareness of cyber-bullying and how to stay safe online. Think very carefully before posting photos of yourself online. Never respond or retaliate to negative posts. Block any users that send you nasty messages on social media sites. Don’t open emails, downloads or attachments from people you don’t know or trust as they could contain a computer virus or unwanted messages. Block spam emails and delete them. Importantly if you or someone you know is experiencing problems with cyber-bulling, do ‘TELL’. Tell a trusted adult who can help you action any of the above. It is with great sadness that we advise you all that sadly Nick Rees passed away on Sunday evening as a result of his heart condition (19 November). Sue (his wife), said that Long Close held a very special place in Nick’s heart and he spoke a lot at home about the pupils and staff. One of the best places he had ever worked. 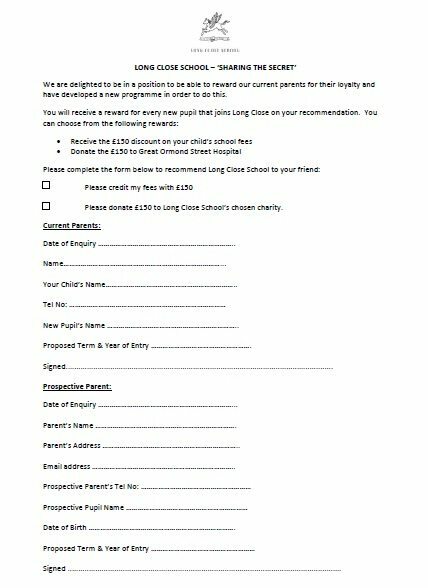 We are delighted to announce the LCS ‘Sharing the Secret’ scheme for parents. 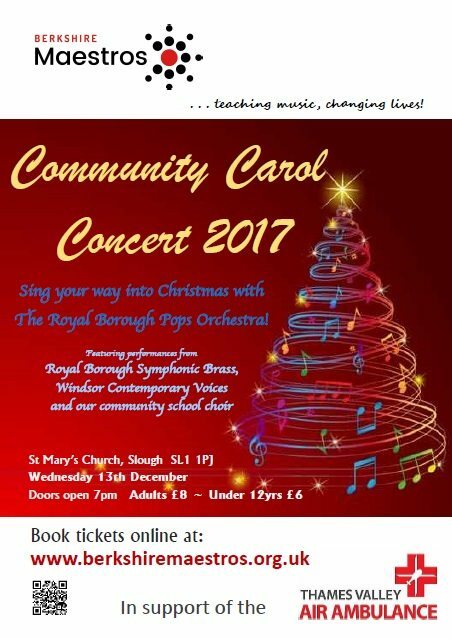 Please refer to the schoolcomms message sent for details. LCS are proud to be featured on the Ruth Miskin website as one of the leading schools following the RWI program. 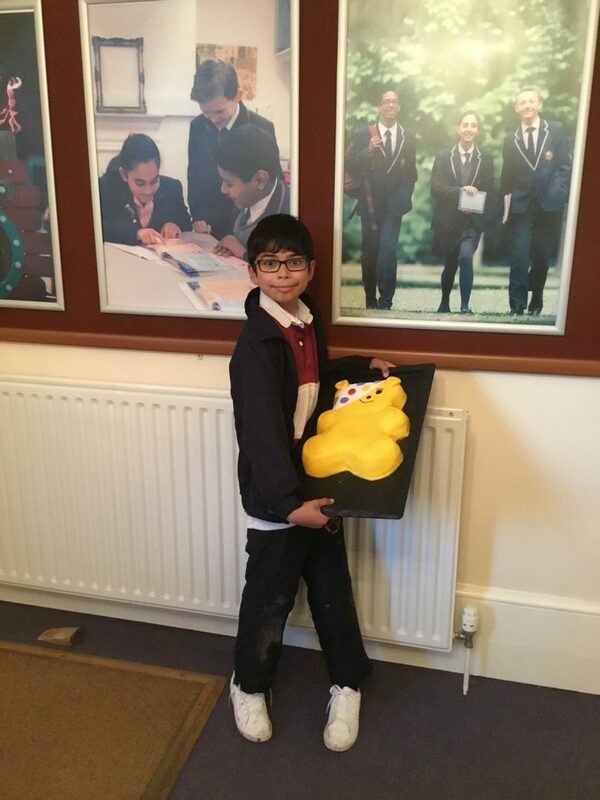 WELL DONE TO SHIVAM RUPARELIA (Year 5) FOR WINNING THE PUDSEY CAKE IN LAST WEEKS CHILDREN IN NEED HEADTEACHERS RAFFLE! But that makes you great. For the size of your heart. But what makes a good friend? 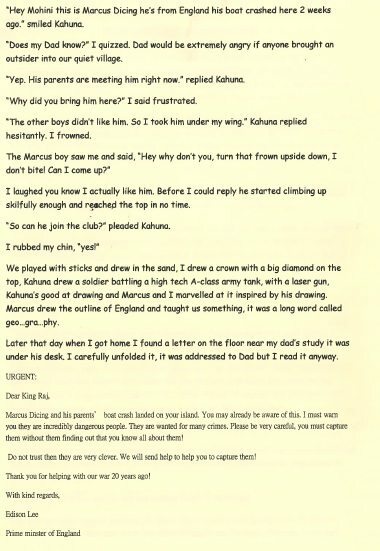 Someone who laughs with you? When you’ve hurt your knee? When you fall from a tree. And you love them too. 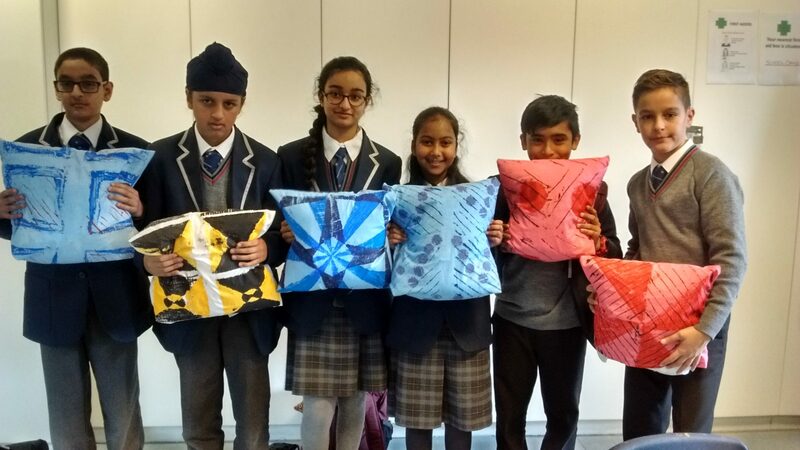 Over the Autumn Term in Design Technology we have been designing and making fabric cushion cover. We have looked at different fabrics, their sources and properties. 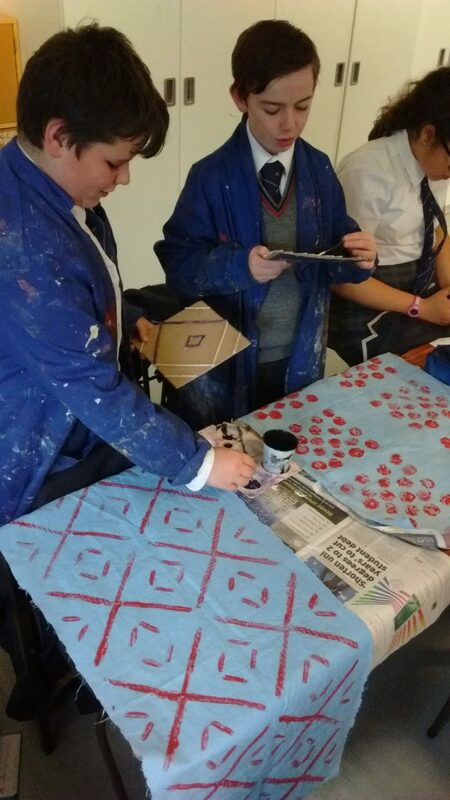 We have also looked at how to print onto fabric using a block printing method. 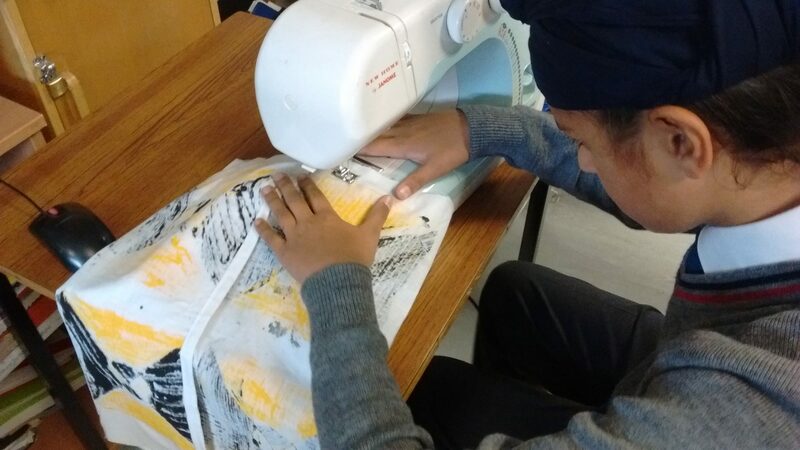 Another thing we have looked at is how to hem fabric and how to use a sewing machine safely. This week we put everything into action and made a cushion cover to take home with us. 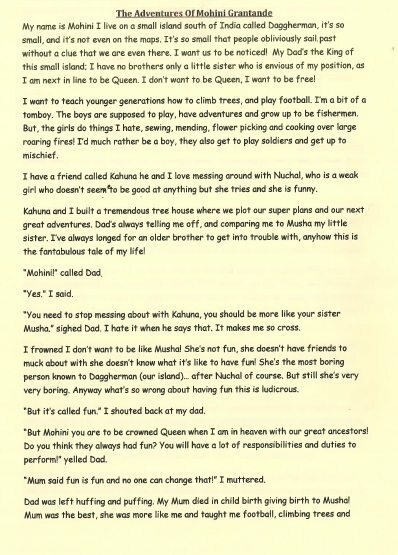 Vishaali Devi – Year 7. Today I would like to tell you about Tuesday 21st November’s under 9b hockey match. I was so excited to be the captain – for the first time! The game began with a player from St Bernard’s hitting the ball to another member of their team. My team tried to stop them from scoring a goal. Then our team tried to score a goal and nearly did. Both teams kept trying to score a goal, but no one did. At the end of the game it was a draw, but we are all winners because we tried our best. On Tuesday November 14th, Long Close School team played against Eton End School. The Under 9B team played excellent as we defended our goal. Kierat Bhandal scored an early goal to give us the lead. In the second half, we played energetically, hitting the post several times, but we did not score another goal. The final score was 1-0 to Long Close School! Well done girls. Keep it up! 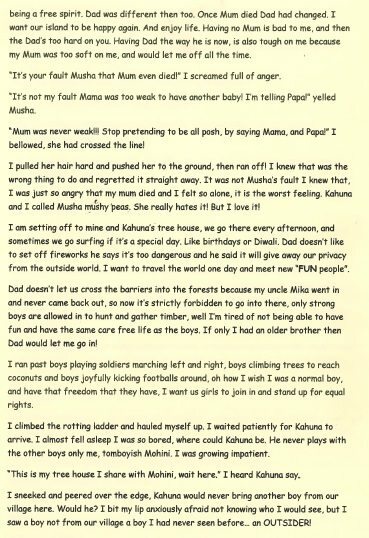 Hopefully you have all had a chance to read the email communication that detailed the plans for the grotto and other activities on the 1st of December. As we are introducing tokens for the children to use as payment we will be selling these in advance.